Sturgeons are the member of Acipenseridae family including two dozen different species. Generally, sturgeons are solitary which spends number of years at sea before they return to a river where they were born for breeding. Females lay from 200000 to 6 million eggs which are sticky that attaches to gravel substrate. Throughout spawning migration, mature individuals do not eat. When the juveniles grow, it begins to migrate downstream and an adult fish before reaching sexual maturity spend 7-8 years at sea. 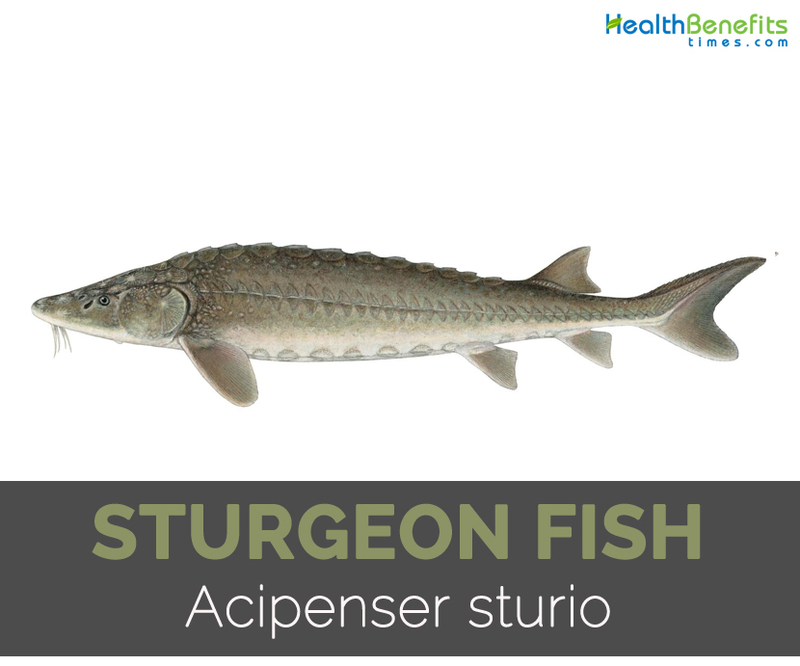 Scientifically known as Acipenser sturio, European sea sturgeon is a sturgeon species found on coasts of Europe. This species is also called Atlantic sturgeon, Baltic sturgeon, Common sturgeon, European sea sturgeon, European sturgeon and Sea sturgeon. Currently, it is an endangered species. This sturgeon has wedge shaped head ending in a long point. It has sensitive barbels on facial area. The body has dorsal fins which are located very far. The body has five longitudinal lines of osseous plates. The back is brownish grey and stomach is yellow. The diet is followed by crustaceans and mollusks. The fish could measure 6 m (20 ft) and weigh 400 kg (880 lb) but common length is 1.25 m (4 ft 1 in). It can reach 100 years of age with late sexual maturity (16 to 18 years for the females and 12 to 14 years for the males). It is found on the coasts of Europe excluding northernmost regions and rarely in the Atlantic Ocean to the coasts of North America. Similar to other sturgeons, they spawn in rivers inland from coast. European sea sturgeon is one of the largest European fish to breed in rivers. It has olive-black upper body with white belly. The body is elongated tapering to narrow pointed tip at snout and inadequate scales excluded five rows of whitish bony platelets and scutes that run length of fish. The sensitive barbels are found on lower jaw which assists to locate prey and then sucked into mouth. Adults migrate to large rivers in spring and early summer. The spawning takes place between March and August. During this time the temperature of water rises above 20 °C at depth of 2 to 10 meters over stony bottoms in areas having strong current. The matured ones do not feed during spawning migration. The number of spawned eggs increases with age. The sticky dark grey eggs requires one week 17°C for development. It is considered that females spawn every 3-4 years and males every 2 years. In general, sturgeons are more able for hybridization and most of the species is able to cross breed. The flesh is pickled or smoked. 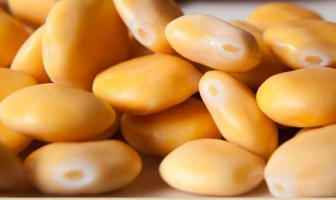 Its eggs are used to make caviar. It could be grilled, pan seared and broiled. It reaches sexual maturity from 8-12 years on average. Its swim bladders are used for making isinglass used in glues, jellies and as clarifying agent. Mostly, they live in large, freshwater rivers and lakes but some travel to ocean and return to lakes and rivers to breed. They have the average lifespan of 50 to 60 years and the first spawn occurs when they are about 15-20 years old. Some species measures about 5.5 meters (18 feet). The largest sturgeon recorded in 1827 was Beluga female 7.2 meters (24 ft) long weighing 1,571 kg (3,463 lb) in the Volga estuary. Sturgeon symbolize coat of arms for Saint Amalberga of Temse in art. IUCN has classified over 85% of sturgeon species at the chances of extinction making them an endangered group of species. Calories in 1 piece (4-1/2″ x 2-1/8″ x 7/8″), 145 g 196 Kcal. Calories 196 Kcal. Calories from Fat 67.59 Kcal. Calories 89 Kcal. Calories from Fat 30.87 Kcal.